Please remember to pick up the name of a child or children in the Parish Hall during coffee hour. For over fifteen years, our parish has solicited the names of MetroWest and Sudbury children whose parents need our help in making Christmas a joyous day for their kids. All presents must be newly purchased, wrapped, and delivered by December 14 to First Parish in a paper bag. The slip with the child’s name should be firmly attached to the bag. Please do not leave a present unattended in the parish hall (except on the morning BEFORE a Sunday service). 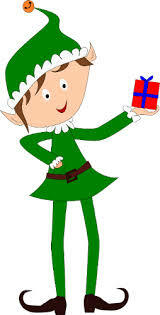 All gifts should be given anonymously and give no indication of who purchased the present. Clear take-home directions will be made available at the time of name choosing. Please deliver your gifts to Alison Kaplan. Alison will be available to field any questions during coffee hours.